Meet M. Tony Peralta, a New York-based graphic designer and artist. He's responsible for the Peralta Project, a brand that celebrates and elevates Latinx culture, one cool hoodie at a time. I'm a big fan of everything he does, and I own almost every pin he's made. Somehow, wearing a t-shirt with Soraya Montenegro's face on it, makes me feel connected to my roots and less homesick. One of Peralta's latest ventures? His Complejo (complejo means complex in Spanish) art series. It explores the issues and micro-aggressions Afro-Latinxs face within their own community. Barbie Linda (white Barbie) means pretty Barbie, and Barbie Fea (black Barbie) means ugly Barbie. "I was inspired by Dominican baseball player, Sammy Sosa, who bleached his skin. I was also inspired by my personal experience of hearing comments about my blackness growing up," Peralta, who's of Dominican descent, told BuzzFeed. "Being Afro-Latino is not the 'standard of beauty' in the Latino community. We are barely represented. The darker your skin is, and the coarser your hair is, the less you are seen/ I think we are constantly being told to modify the way we look," Peralta said. For the most part, to be considered beautiful in the Latinx community, you have to look European or mestizo. Just look at our famous novela stars and pageant queens. "Thanks to White Supremacy and it’s effect worldwide, being European/white looking equals beautiful," he continued. And though this dangerous misconception is now changing, we still have a long way to go. "Sporting your hair natural is a thing now, but until Latino media starts representing the full spectrum of the Latino community properly, I won't consider that a real change," Peralta explained. Pelo bueno means good hair, and pelo malo means bad hair. 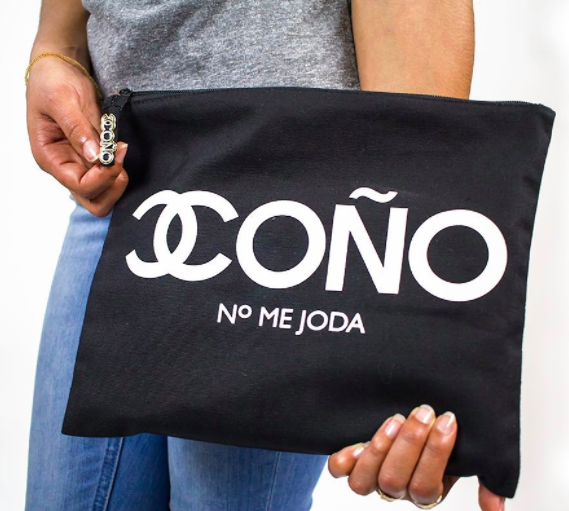 "When I created Complejo I was hoping to start eliminating certain ways we speak to each other and how saying something anti-black to an Afro-Latino as a joke is unacceptable. Calling someone 'narizon' can be harmful in the long run to someone’s self-esteem," Peralta explained. "Narizon" literally translates to someone with a big nose, but it's often used to make fun of people whose features don't reflect European beauty standards. Peralta named the exhibit Complejo because he believes the micro-aggressions Afro-Latinxs experience because of the way they look can give them a complex they carry on into adulthood. If you want to keep up with Peralta, you can visit his brand new workshop/retail shop called Taller Peralta. 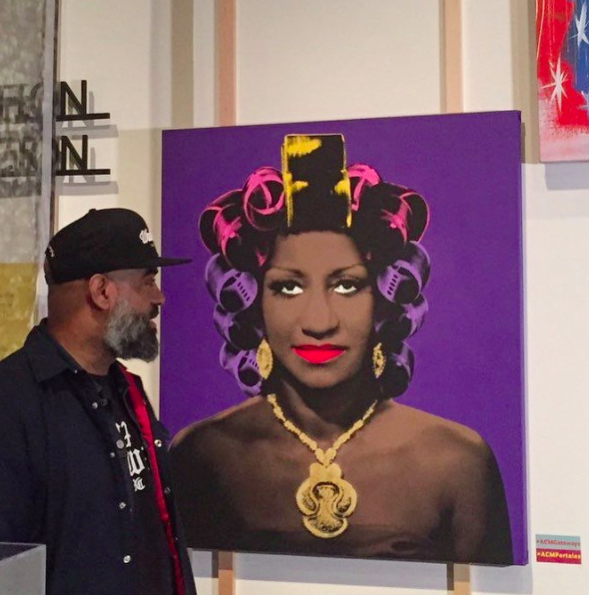 You can also catch him showcasing his work in Miami during Art Basel for Art Africa Miami.